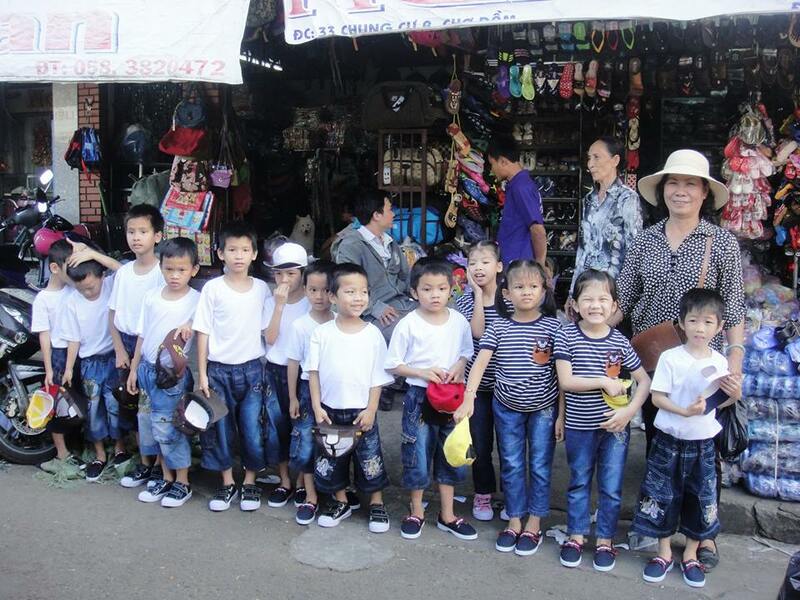 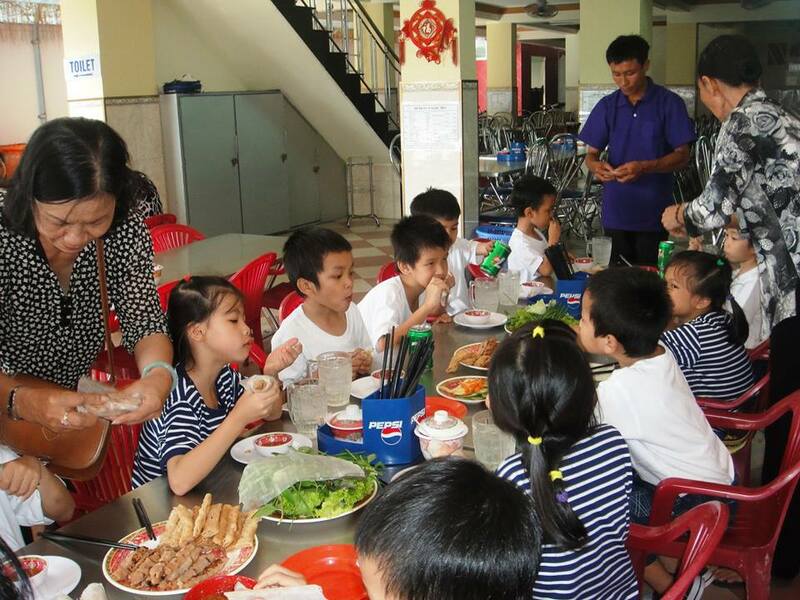 On March 22, 2015 we bought gifts to the children of the Thien Tam Orphanage, and treated the little ones to a lunch on the town. 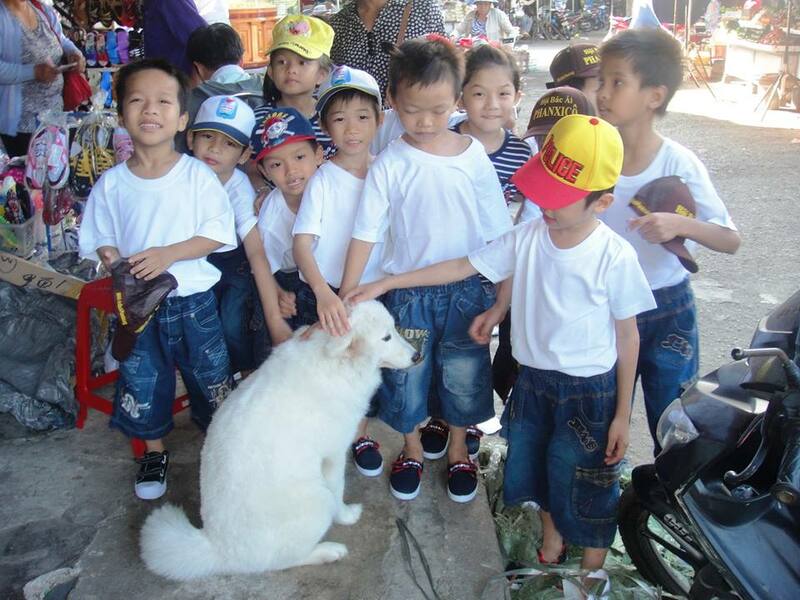 This trip was made possible through the generous donations of Chris Hammock, Thao Nguyen, and Kathleen Tran. 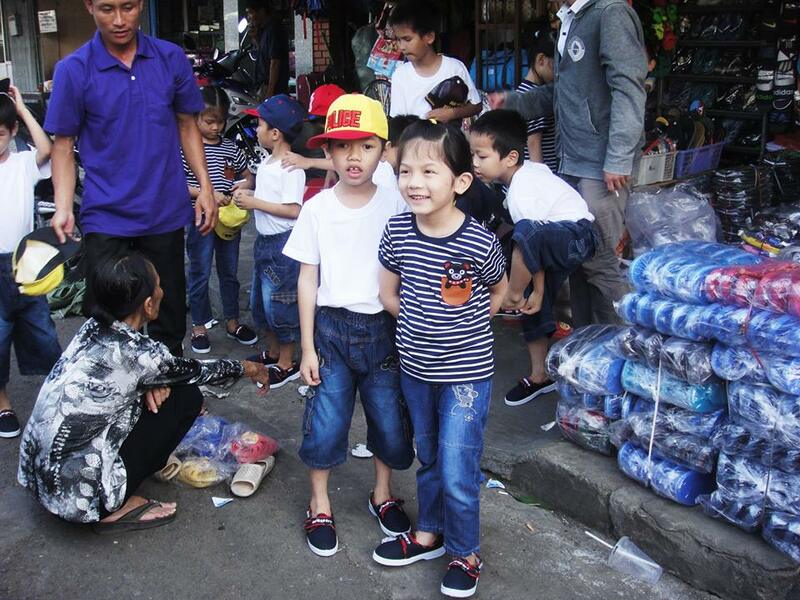 The children at the orphanage wear flip flops all the time, so our lead coordinator Hiep brought them to a local market and had them pick out near sneakers and hats. 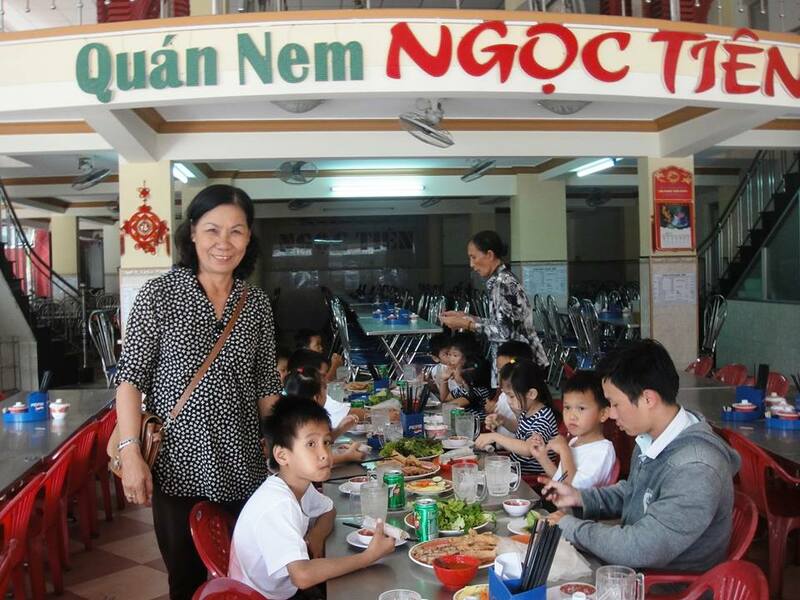 Next, they were brought to a popular restaurant in Nha Trang that serves a local specialty called nem nuong, and they had a nice lunch. 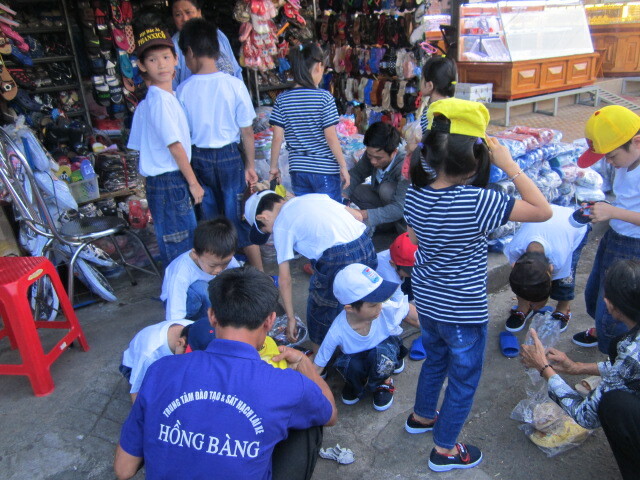 Also on this trip, we donated 4 fans, milk, instant noodles, and other foodstuff to the orphanage. 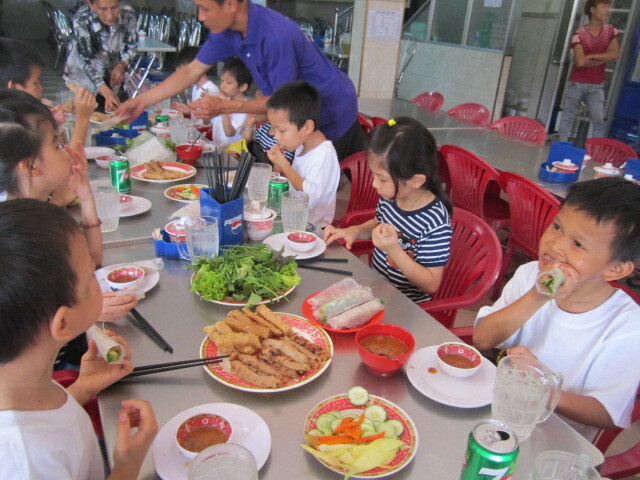 Thank you Chris, Thao, and Kathleen!